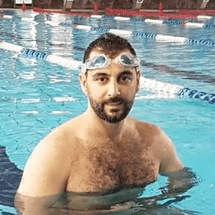 Kamal Sidou is a professional swimming instructor with over 20 years of experience in swimming and diving. He is certified by the American Swimming Coaches Association (ASCA) and PADI and knows how to speak in Arabic, Russian, and English. "Great instructor and very flexible "